Element 25 has successfully produced the first batch of high-purity electrolytic manganese metal at its project in Australia. Manganese explorer Element 25 (ASX:E25) has successfully produced the first batch of high-purity electrolytic manganese metal (EMM) from ore mined at its Butcherbird project in Australia. The ore used to make the EMM was recovered during leach test work at the site. The Butcherbird ore produced approximately 13 liters of high-purity leach solution containing around 40 grams per liter of manganese. These initial results from the sighter leach tests were completed using smaller samples from a larger bulk test sample that was about 500 kilograms. The remainder of the sample is now being processed. The sighter tests were initiated with the intention of further optimizing the quality of the deposit. The Australian battery metals developer’s end goal is to use Butcherbird ores to produce high-purity manganese, including battery-grade manganese sulfate and EMM. “The success of the test work carried out to date further confirms the process flowsheet which is a key enabling technology for the Company’s strategy of producing high value, high purity manganese products from the Butcherbird project,” Justin Brown, E25’s executive director, noted in the press release. “The Butcherbird project hosts Australia’s largest onshore manganese deposit and is the focus of a prefeasibility study due for completion in 2019,” he added. To date, the company has completed a positive scoping study and is working towards developing the deposit in order to produce high-purity manganese sulfate destined for lithium-ion battery cathodes. The EMM that will be produced at Butcherbird will be used as an alloy for specialty steels. 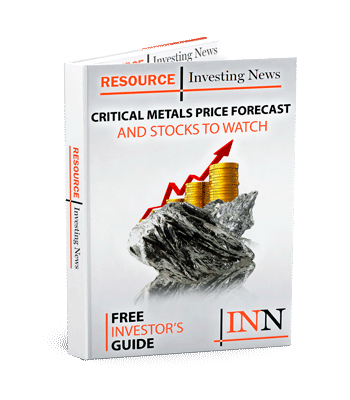 Last year, Element 25 upgraded its initial resource estimate for the deposit, which has been pegged in excess of 180 million tonnes of manganese ore. The company also assessed the indicated resource at the Yanenri Ridge area of the site at 22.4 million tonnes. “Upgrading the Butcherbird manganese resource to JORC 2012 and the conversion of parts of Yanneri Ridge from inferred to indicated categories adds to our confidence that this is a technically robust mineral deposit with simple geology, low strip ratios and significant potential to underpin the company’s transition from explorer to developer in the medium term,” Brown said at the time. From here, the manganese firm will work towards completing a prefeasibility study by the end of 2019. Shares of Element 25 were trading at AU$0.185 on Wednesday (November 28). I am Dr. Kevin Cole and teach Economic Geology at Grand Valley State University in Allendale MI. This is an undergraduate level class but I have them do project related to both the how the deposit was found, infrastructure, financials, mining technique, transport, milling, ore separation method-floatation, solvent extraction etc. refining, sales, marketing and all if time all the logistics, politics, bureaucracy, etc. All that being said would it be possible to obtain some ore samples and/or Manganese concentrate to use in class? I would need about 1 lb. or so and that much should last for a couple years. The project they do are make thin sections from cores or sample, XRD, XRF, and SEM work as well as spectrophotometry to characterize the ore. Whom would I need to contact for this type of request?